Gonerfest 9 brings the garage-punk world to Memphis. With 36 bands spread over four days and four venues — from the Texas/Tennessee summit meeting AAAA New Memphis Legs to Ottawa's White Wires — Gonerfest 9 will bring garage-punk bands, and fans, from around the country and across the globe to Memphis while also showing off Memphis' deep bench of related bands to the visiting congregation. The former includes yet another strong contingent from Australia, home of breakout Goner band Eddy Current Suppression Ring (not on this year's bill), and from "parts unknown" in the form of theatrical headliners Nobunny and the Spits. 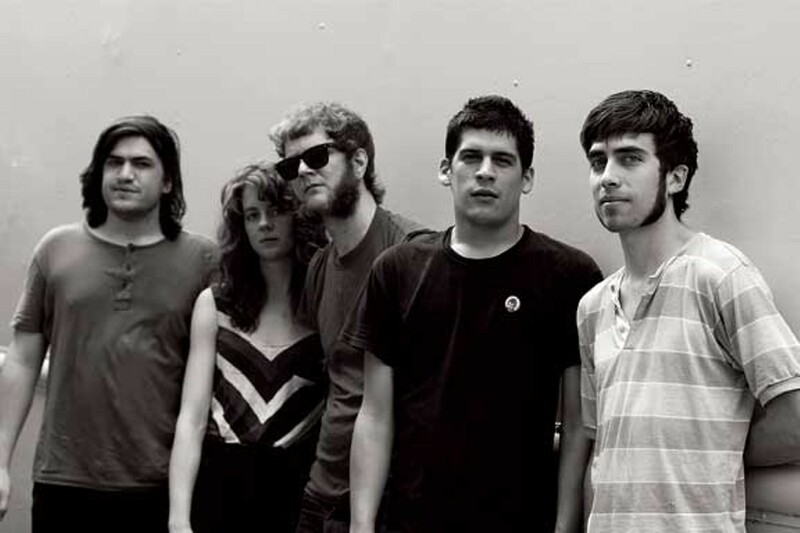 The latter includes a strong field of 10 Memphis-connected acts that range from scene-starters (Jeffrey Evans, The Oblivians) to rising stars (Ex-Cult, Toxie). The former frontman of '68 Comeback and the Gibson Bros. will emerge from his Mississippi redoubt to kick off Gonerfest 9 in the gazebo at the corner of Cooper and Young. 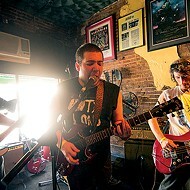 M. Evans' brand of bluesified psychobilly has been a major influence on Memphis' garage-rock scene for more than 20 years, both as a performer and a producer. His always-memorable live shows mix songs from his extensive discography with half-remembered rock and blues gems, but where he is completely unequaled is as onstage storyteller. Expect glorious chaos, and you won't be disappointed. Slug Guts display two major influences on the modern garage-punk underground: late-'80s/early-'90s aggro noise-rock and Australia. 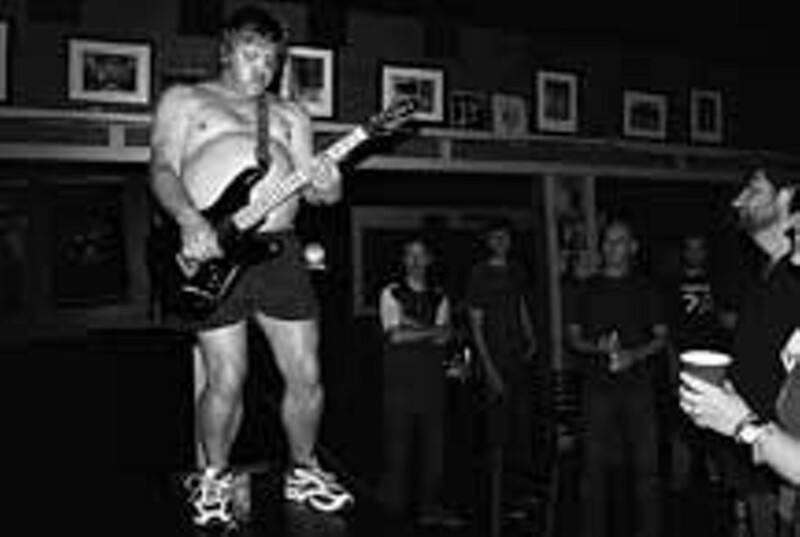 Like many bands operating in the aforementioned sonic demographic, Slug Guts hail from the latter and give unmistakable nods to that continent's '80s and '90s standout contributions to post-punk and noise-rock, most notably the Scientists, the Birthday Party, and feedtime. Formed in Brisbane, Slug Guts were together less than a year when their 2009 debut album, Down On the Meat (Stained Circle Records) saw the light of day, and prolific stateside label Sacred Bones released the quartet's sophomore album, Howlin' Gang, in 2011. Slug Guts is the perfect representative of the blunt-force and sludgy side of Gonerfest that often gets overshadowed by more pop-savvy concerns. 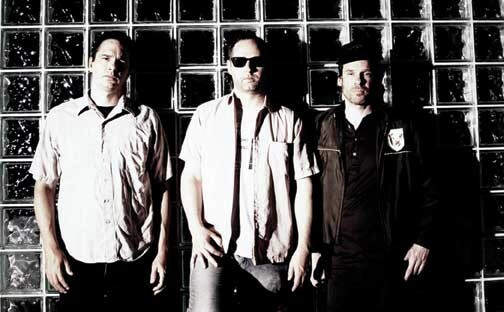 There's a case to be made that the Oblivians are the greatest Memphis music act of the post-Al Green/Big Star era. And though each of the trio — Goner founder Eric Friedl, Greg "Reigning Sound" Cartwright, and Jack "Tearjerkers" Yarber — has done tremendous things since the band's initial 1998 break-up, their collective chemistry is still a special thing. Good news, then, that the latest reunion is more than just a one-off show or tour. The band has been working on its first new studio album since 1997's The Oblivians Play 9 Songs with Mr. Quintron. With a deeper musicality and more charisma than most but with no loss of energy or attitude for it, they are legends in their scene for good reason. The son of late blues and gospel great Robert Wilkins, north Mississippi's Rev. John Wilkins has continued his father's blend of country-blues and gospel, layering it with a more modern, electric hill-country blues sound. He introduced his sound to the wider world with his terrific 2011 album You Can't Hurry God. "Don't let the hearse be the first thing to take you to church," Wilkins pleads on an album that features soulful, spirited reworkings of blues and gospel standards such as "You Gotta Move," "Let the Redeemed Say So," and the elder Wilkins' trademark "Prodigal Son." Wilkins will provide Gonerfest with a Sunday-morning landing after three days of Saturday nights. Gonerfest 9 will open and close with free outdoor performances on Thursday and Sunday afternoons at the Goner Records location in Cooper-Young. 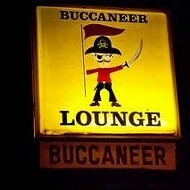 There will also be day parties on Friday (at the Buccaneer) and Saturday (at Murphy's). Full festival passes are $60. Hi-Tone shows are $20 each. Murphy's day party is $10. 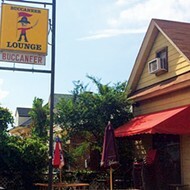 Buccaneer day party is $5. 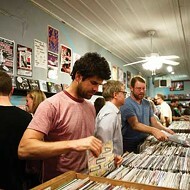 For a full schedule, see gonerfest.com.